What’s on Your Kitchen Remodeling Wish List? We also understand that not everyone has a crystal-clear picture of what they want to see in their kitchen. That’s okay! Part of our job is to provide design inspiration and translate your project goals into a concrete vision for your space. Here are some of the most popular kitchen features to give you some ideas! Open layout and/or direct outdoor access. This one’s a common wish list item for homeowners who do a lot of entertaining. It involves more reno work, but for the right households, it’s well worth the trouble. Generous lighting. Layers of light—natural as well as artificial ambient, task and accent lighting—are vital in any kitchen. Sinks that make sense. Different households have different kitchen sink needs. Most people prefer double bowls if they hand-wash dishes, and a single bowl if they mainly use the dishwasher. Prep sinks are still widely considered a nice option rather than an essential. Corner storage. Every cubic inch counts in a kitchen! Lazy Susans and blind corner pull-outs make fantastic use of this often-wasted space. Smart waste/recycling solutions. Convenience and accessibility are paramount when it comes to trash and recycling. Common must-have features include out-of-sight storage, double bins and hands-free use. An appliance garage. Appliance garages keep countertops tidy by keeping often-used appliances accessible but out of sight. A coffee/tea station. For its size, this space packs a lot of storage and function. It also often doubles as a mini bar area. We Make Kitchen Wishes Come True! 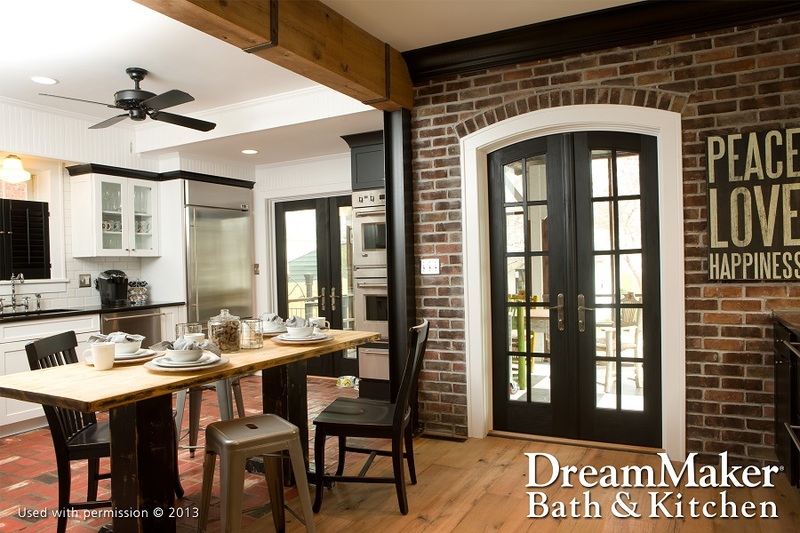 Start a conversation with a design expert at DreamMaker Bath & Kitchen of Central Texas by calling (254) 262-0087 or submitting our online contact form. We’re a full-service bath and kitchen remodeling company proudly serving Waco and the surrounding areas.